Queso Quesadilla is a sturdy and creamy cheese with subtle buttery color and hints of nuts. Versatile melting cheese, ideal in quesadillas or as a snack. Muy tradicional! 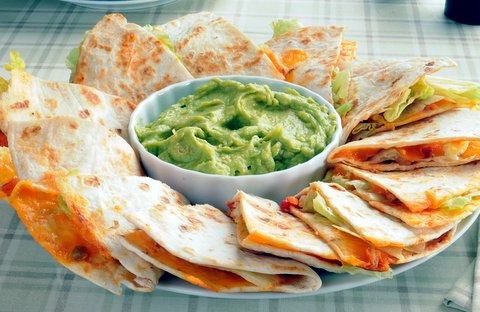 El queso Quesadilla marca Los Altos es delicioso y la da mas sabor a las quesadillas, es blando, ligeramente salado, se derrite f�cilmente y tiene un sabor suave que va muy bien con cualquier platillos favoritos de comida Mexican, ideal para botanear o bien para complementar tus recetas favoritas. A very flavorful cheese with a consistency which begs to be melted on beans, enchiladas or in a quesadilla! 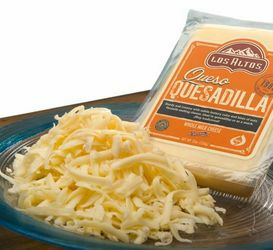 This cheese is great for quesadillas and tostadas. ProsCooks well with beans or other foods. In Mexico, we make all types of quesadillas all the time, with corn or flower tortillas. Sometimes, just with cheese, but other times you can also add different fillings, like vegetables or meats, like chorizo. But what is most important in a delicious quesadilla is the queso. That's why I always use Queso Quesadilla Los Altos, because it tastes great and melts in the quesadilla and in your mouth too. It's the best Queso Queadilla I have ever tried and I would not switch it for any other Queso Quesadilla. Finally a cheese for authentic quesadillas! This cheese made me loyal to Los Altos. The color and flavor of the cheese transports me to Mexico. It embraces the flavors of anything that goes in the quesadilla, even the most subtle ones like flor de calabaza, or potato. I recommend a pinch of salt and a drop of chipotle oil over it as it melst in the tortilla.